Where to start?? 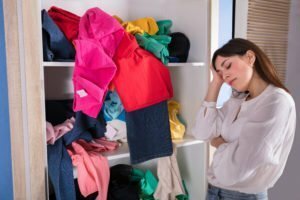 If you are feeling a little bit daunted by the task, we offer a wardrobe service to help you establish which of your existing clothes are fine and which need replacing. 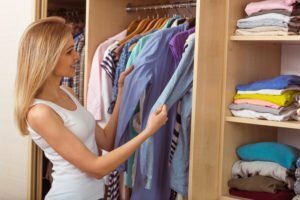 Our wardrobe consultant will teach you how to create a fabulous wardrobe starting with your essential backbone items and building from there. As we innately have a sense of which colours suit us, it is highly likely that you already have items in your wardrobe which will continue to look great. So you won’t need to throw everything out! Your Colours also has a Buy and Sell Page on Facebook where you can sell unwanted clothes items. All you need is your exclusive Colour Guide and Styles booklet and a couple of hours to spend with our consultant and you will have the beginnings of an amazing new wardrobe ready to fill with all your beautiful colours and styles. We can also take you on a Personalised shopping trip and help you to find the clothes which are just right for you..